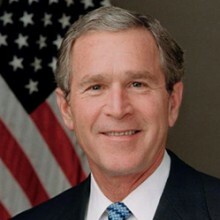 President Bush is the author of a bestselling memoir, Decision Points. He and Laura have twin daughters, Barbara and Jenna, and a son-in-law, Henry Hager. The Bush family also includes two cats, Bob and Bernadette.